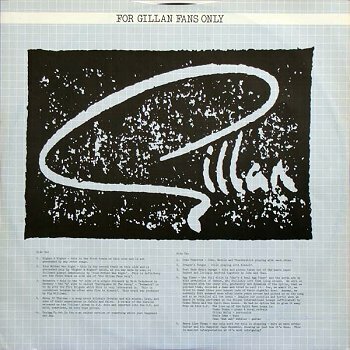 This is the brief story of a record called "For Gillan Fans Only". It was released in 1980 and was included as a bonus LP in the first 15.000 copies of the UK edition of the "Glory Road" album. This bonus record had 10 songs, mainly leftovers and out-takes that didn't make it to a normal release but nevertheless had significant "fan" value. For quite some time these songs existed only in this vinyl form. 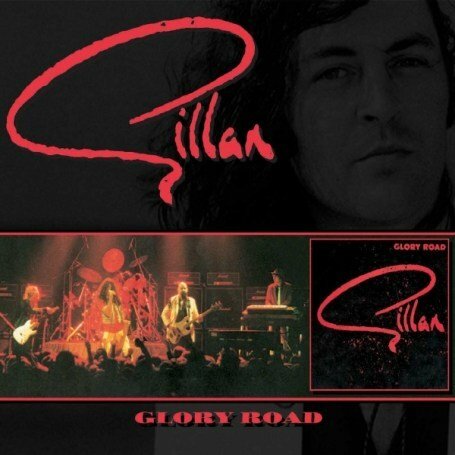 "Glory Road" was first released on CD in 1988 by Virgin and had most "For Gillan Fans Only" tracks included as bonus (not included were the 'Higher and Higher', 'Egg Timer (Vice Versa)' and 'Harry Lime Theme'. The first time the full album was released on CD was in 2000 by Angel Air. It was included as a bonus (again) with the first 5.000 copies of "The Gillan Tapes Vol.3" compilation. The second time was in 2007 by Demon/Edsel with the 2 CD re-release of "Glory Road". Music-wise, two of the most remarkable moments of the album is the cover of 'Vice Versa' originally by NWOBHM legends Samson and the interpretation of the 'Harry Lime Theme' from the movie "The Third Man"!